very secluded, which was just what we wanted. the only negative was the noise from the loft in the evenings made by squirrels. kept our friends in the back bedroom awake at times. We loved this small well appointed cottage in it's quiet hamlet setting. There was lots of room for our family of four though with its two ensuite bathrooms (and additional downstairs loo), we could easily see this cottage being used by two couples as well. The cottage has been well renovated and still has lots of character. The barns were also good for safely storing our bikes though the setting is so quiet that there were no worries of security. Cussac the closest village has a good and well stocked supermarket and there is a patisserie and boulangerie too as well as a couple of restaurants. There are a good number of lakes 25-35 mins drive from the cottage that have sandy beach/bathing areas (lifeguard attended), and boating activities. We liked St Estephe which had a nice walk and Espace Hermline which had a Velo-Rail and tree top adventure park (GoApe). The Limousine is a fantastic area of rolling hills, woodland small farms, hamlets and pretty villages/small towns and the cottage is also very close to the edge of the Dordogne making visits to this area's attractions all very easy (Brantome and canoeing down the river is a must). There are lots of frequent local activities and we enjoyed a large fair at nearby Oradour Sur Vayres and a night market at the pretty town of Rochechouart (location of a meteorite impact 200 million years ago causing a crater 20km wide and 6km deep). Another must see/do is the Oradour Sur Glane WW2 village that was frozen in time after the Waffen SS Panzer division massacred 642 inhabitants on 10-June 1944 - a real living history lesson. After a good days activity it was nice to return to the comfortable cottage to relax and recover. We loved our stay at penny fathing and would recommend to family and friends. The beds were very comfortable the bed linen was clean, fresh. The kitchen was well equipped. We just couldn't find fault with our stay. People in the hamlet, French and English very friendly. If we had to say one bad thing about this property is, it wasn't our home! You won't regret booking this gite. My wife was taken seriously ill two days before we were due to sail & our trip to France (three weeks) was therefore cancelled. 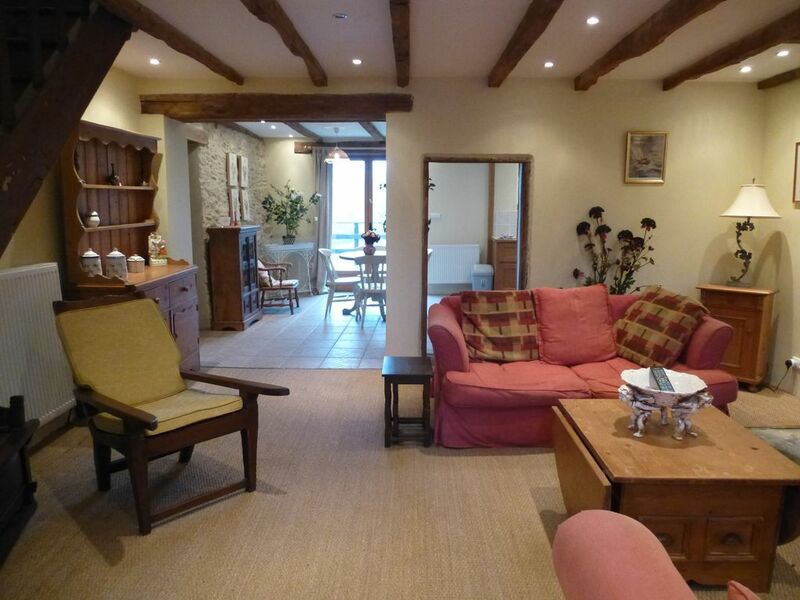 Winter break in comfortable cottage with roaring woodburner and rural views. Imagine garden and outside perfect for spring and summer. Well maintained and with home comforts .